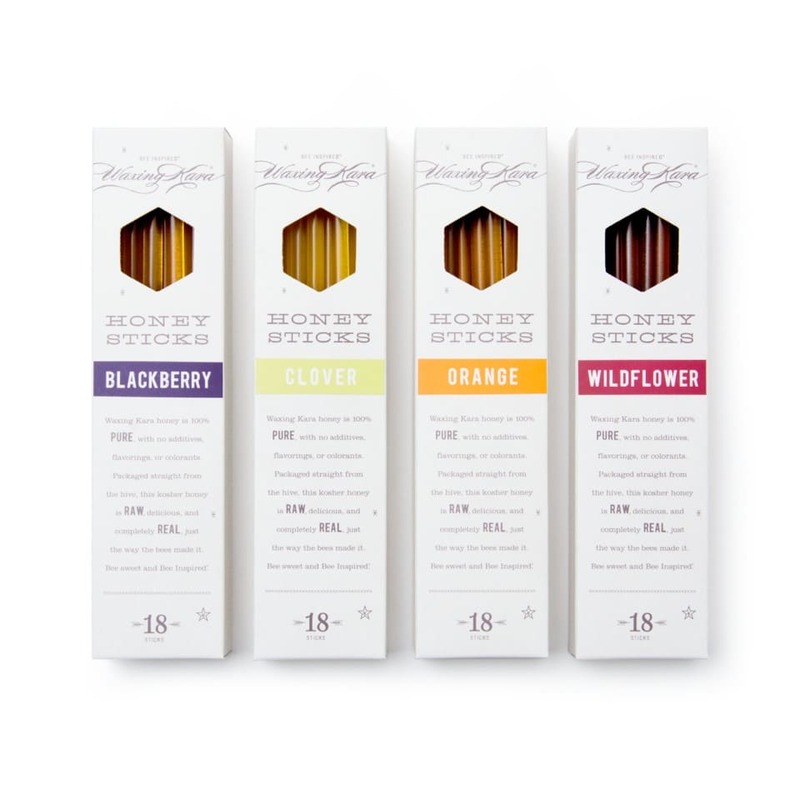 Raw Honey Sticks are 100% pure, with no additives, flavorings or colorants. Minimal filtering. Straight from the hive, this Certified Kosher honey is just the way the bees made it. Eighteen sticks per box. Each stick measures 1 teaspoon of honey. Choose from 4 varietals. Honey Sticks from the Eastern Shore put your favorite Raw Honey into a single-serve tube. Eat it straight out of the stick, put it on toast with some almond butter and a few slices of banana. Put it on top of apples with a little bit of lemon, or activate one of our Dry Masks with no mess! Share them with your kids, or hide them from them! These honey straws are Star K Certified Kosher, so they’re perfect for Rosh Hashanah as well. Choose from Clover, Wildflower, Blackberry, and Orange. The Blackberry variety has been so popular that we’re now selling it in 11oz jars. 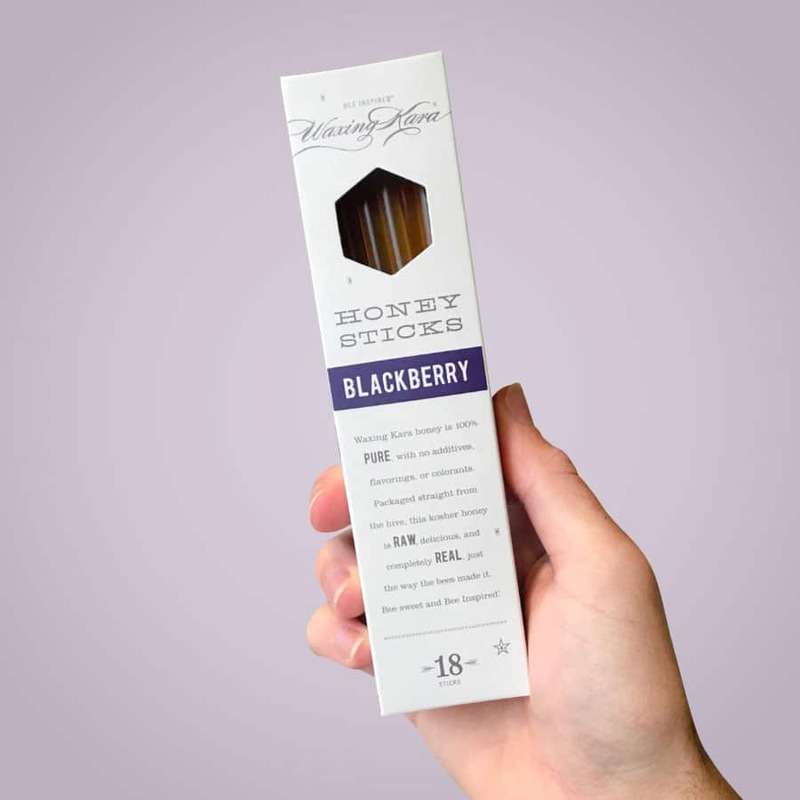 Our Raw Blackberry Honey comes from the Pacific Northwest, and is just as yummy from the jar as it is in the Honey Sticks. Clover and Wildflower Honey is mild, not-to-sweet, and perfect for almost anything. Use these as your every day, go-to honeys in tea, over fruit, in oatmeal, and so much more. Our Orange Blossom Honey is buttery and floral, and is just as good by itself as it is over ice cream or dessert. What’s your favorite way to use our Raw Honey Sticks? Do you keep them at your desk, or in your bag? Does one variety have your heart, or do you try something new each time? Share your favorite honey recipes with us on Instagram, and be sure to tag us the next time you open your box of Honey Sticks. We always love to see what you’re up to! Sourced from responsible beekeepers, these sticks are pure, raw, and absolutely yummy. The straws are BPA free and food grade. Contact your local recycling agency for details on how to process these sticks post use (recycling code 5 PP). Each stick measures 1 teaspoon of honey. These are so delicious! My kids love honey sticks as a snack, and these are the only ones I’ve found that are raw honey, without artificial flavors and colors. I love to add them to my tea. They give the perfect amount of sweetness.